AGCO is dedicated to generating long-term shareholder value. Over the past three years, market conditions in our industry have weakened significantly providing a strong test of our ability to operate successfully throughout the business cycle. In a year of challenging farm fundamentals and weak industry demand, I am pleased to tell you that 2016 was a year of significant progress on many fronts for AGCO. We met our financial goals, launched important new products, completed a strategic acquisition, expanded our Fuse technology capabilities, and continued to improve our production facilities. As you will read in this report, our success is achieved through our operational excellence, project-execution capabilities, and the application of new technologies, supported by strong financial flexibility, investment discipline, and a world-class workforce. All of this lets AGCO do its part to meet the global challenge of food security, and support farmers and our global partners in profitable, sustainable food production, both now and in the future. Our industry and AGCO (the “Company”) experienced soft market demand last year. A record grain harvest in the U.S. combined with healthy crop production across Europe and Brazil resulted in increased grain inventories and lower soft commodity prices. Deteriorating farm economics negatively impacted farmer sentiment, and we experienced softer industry equipment demand in all major markets. We responded by cutting production and closely managing our Company and dealer inventories. AGCO’s 2016 results reflect the adverse impact of operating in the lower end of the agricultural equipment cycle, particularly in North and South America. AGCO’s 2016 net sales were $7.4 billion, relatively flat compared to 2015 levels. Adjusted net income for 2016 was $2.47 per share, excluding restructuring expenses of $0.12 per share and a non-cash deferred income tax adjustment of $0.39 per share. We generated approximately $169 million in free cash flow after funding significant investments in new products and other long-term profitability improvement initiatives. Our free cash flow was largely used to support share repurchases of approximately $213 million in 2016. At AGCO, we are focused on consistent execution against strategic principles that are driven by our vision and mission. Our clear vision at AGCO is to provide high-tech solutions for professional farmers feeding the world. We accomplish this by supplying agricultural equipment that increases the efficiency and productivity of our customers. AGCO’s mission, with the shareholder in mind, is to achieve profitable growth through superior customer service, innovation, quality, and commitment. 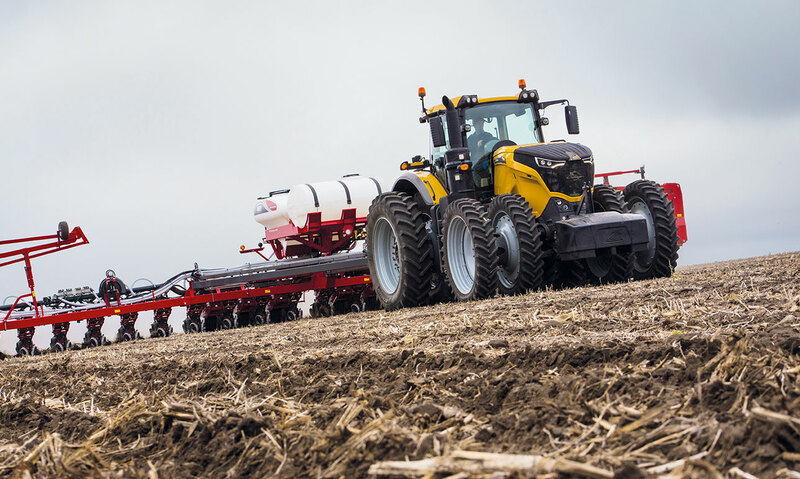 For more than two decades, AGCO has been working to provide the right products and the right technology to compete effectively in our dynamic marketplace. We will continue to invest in new products, new technology, and improved distribution in order to expand our margins and produce higher returns on our invested capital. During the downturn we are working diligently on our cost reduction strategies targeted at purchasing actions, factory productivity, and new product development. Note: Please see reconciliation of non-GAAP measures on page 20 of the printed report. Sales growth is another important element of our margin improvement roadmap. AGCO is focused on growing our business in the markets we currently serve and expanding into the developing areas of Eastern and Central Europe, China, and Africa. A key sales-growth initiative is our investment in product development. A great example of this is the Fendt 1000 tractor that launched during 2016. It delivers over 500 horsepower on an impressive conventional chassis, making it very efficient and more flexible to perform a wider variety of operations. High horsepower tractors for the professional producer segment have always been a major strength and focus for AGCO. The launch of the Fendt 1000 marks an important beginning of our premium tractor platform consolidation. This new tractor range also introduced our Fendt technology for the North American market under the Challenger brand. The Challenger version of this tractor was designed specifically to meet North American row width standards, providing us with a new opportunity to increase our sales of premium tractors in North America. Our research and development also includes investments in Fuse, AGCO’s approach to precision agriculture that optimizes the farm by providing improved access to farm data and better connections to trusted service providers. These improvements allow farmers to make more informed business decisions, reduce input costs, and improve yields, and profitability. The two key components of our Fuse program are Fuse Technologies and Fuse Connected Services. Fuse Technologies is the portfolio of technology tools that are the foundation of the optimized farm, and we have solutions that address all elements of improving farm productivity and reducing farm waste. Fuse Connected Services builds on this by using data- transfer technologies and analytic insights combined with dealer capabilities to help customers optimize their fleet and farm, and maximize up-time throughout the year. Another important growth driver for AGCO is our GSI family of products and services. In our grain handling business, we are a global leader in storing, moving, and drying grains. We offer world-class solutions for on-farm storage and commercial applications, including river and rail terminals and sea ports. The acquisition of Cimbria in September brought us the leading position in the global seed-processing equipment market and together, GSI and Cimbria combine to extend our global leadership in grain handling. While the low commodity prices have hurt demand for our grain handling products in 2016, demand has increased for our global animal protein businesses. For swine, poultry, and egg producers, we provide housing, climate control, feeding, and watering solutions. We are a global leader across these categories, and our recent entrance into the commercial egg market provides us significant growth opportunities. We are bringing new, best-in-class technologies for improving animal welfare, including being a leading provider of cage-free systems for commercial egg producers in North America. We intend to continue investing in our business to improve efficiency and maintain the pace of our new product introductions. Over the last decade, we have built a solid capital structure and keeping our investment grade credit rating is a priority. AGCO will remain opportunistic with regards to acquisitions in order to add new products and expand our geographic reach. Our healthy balance sheet and strong cash generation has enabled us to return cash to shareholders and these distributions will remain an important component of our long- term capital allocation plan. Over the past three years, we executed share repurchases of $1 billion which reduced our share count by approximately 20 percent. Our Board of Directors has approved a new $300 million repurchase program which expires in December 2019 and is expected to be funded with operating cash flow. In summary, we are taking aggressive actions to align our costs and working capital with the weaker market demand that we are facing today. 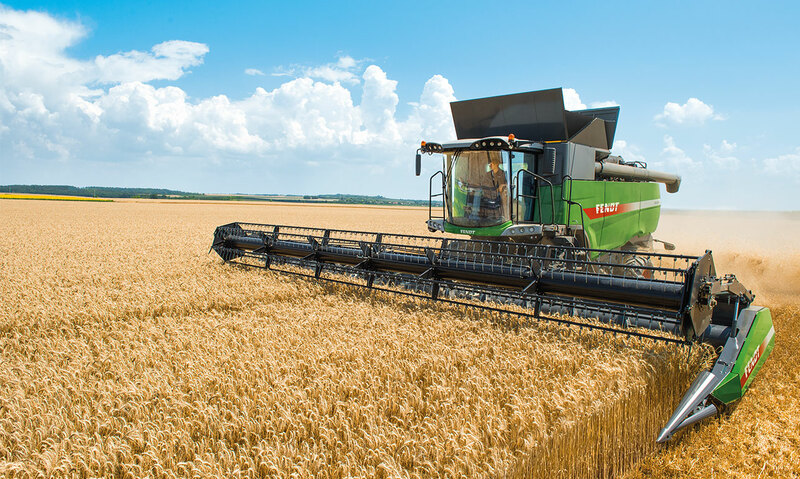 However, our long-term view remains optimistic for our industry and for AGCO, and our strategy is aimed at growing our business and improving the returns for our shareholders as we continue to provide solutions that will help engineer global food security. The AGCO team – approximately 20,000 strong – is energized and committed, and I am deeply appreciative of all their talent, efforts, and determination. Collectively, we are grateful for our customers, dealers, and partners who ultimately drive our success. And finally, we are thankful to our shareholders for your continued confidence across the business cycle. We look forward to working with all of you for many prosperous years ahead.